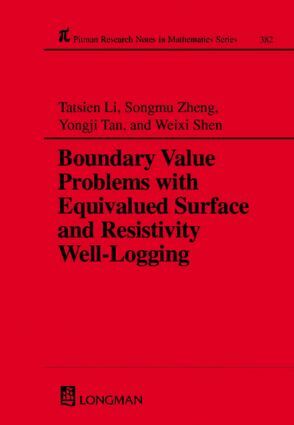 Part I - Boundary Value Problems with Equivalued Surface: Physical Sources forBoundary Value Problems with Equivalued Surface. Existence and Uniqueness of Solutions. Limit Behaviour of Solutions. Homogenization of Boundary Conditions. Parameter Identification Problems. A Class of Nonlinear and Nonlocal Boundary Value Problems and Limit Behaviour of Solutions. Boundary Value Problems with Equivalued Surface for Semilinear Elliptic Equations. Generalization and Further Applications. Part II - Resistivity Well-Logging: Numerical Solutions to the Boundary Value Problem with Equivalued Surface. Dual Laterolog. Microspheric Focusing Well-Logging.